Woot! I love this deal! Once again this week, ShopRite has the 6-count packs of Poland Spring Sparkling Water on sale for $1.50, you must buy 2 in order to get this price. 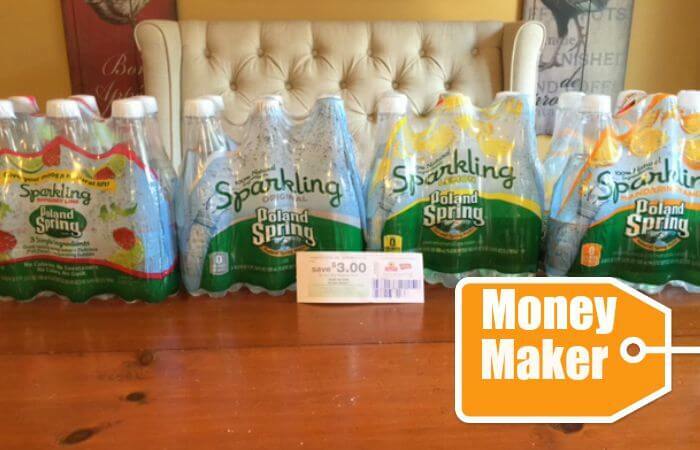 There was a $1/1 Poland Spring Brand Sparkling Natural Spring Water coupon from the regional 6/28 Red Plum Insert making 4 of these FREE + $1.00 money maker after stacked offers. New $0.55/1 Hungry Jack Microwaveable Syrup Coupon – $0.90 at Harris Teeter & More!